The dispute over how poker as a form of tribal-offered casino gambling is classified for legal purposes continues to be a sticking point across the nation, with a federal judge’s recent ruling regarding electronic poker tables at the Ho-Chunk Gaming facility near Madison, Wisconsin continuing to highlight poker’s ill-defined gambling existence. Last month’s ruling by US District Judge Barbara Crabb that the facility remove its eight electronic poker tables confirms the State of Wisconsin’s position in the case. The Ho-Chunks succeeded in having an arbitrator’s similar 2012 decision on the matter vacated, which led for state officials to refer the matter to federal court. 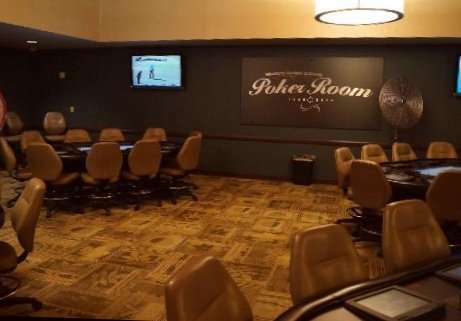 At the present time, the eight “PokerPro” brand electronic tables remain in use in the “Poker Room” at the facility, which is unique among the six Ho-Chunk Gaming casinos in the state in several ways. The latest ruling by Crabb calls for the removal of the tables within 30 days after further appeals in the case are exhausted, which means that the tables may be in use for some time to come. The Ho-Chunk situation in Wisconsin highlights the varying distinctions between Class II and Class III gaming as defined within the Indian Gaming Regulatory Act (IGRA), the United States statute that has served as the backbone of tribal gaming for the past three decades. The Wisconsin situation as it pertains to poker has some relevance to similar Class II versus Class III disputes, such as the recent announcement by California’s Santa Ysabel tribe that it plans to open a real-money online poker room under the grounds that poker is a Class II game. Another recent tribal dispute along similar grounds involves the Coeur D’Alene tribe of Idaho, which has sought to open a live poker room in its upstate casino. The Wisconsin dispute, however, adds a twist to the classification game that’s all its own. The Madison facility is what is technically a “Class II” gaming facility, which under IGRA is the designation given to bingo halls and other non-banked forms of gambling. Class III gambling, by comparison, is the catch-all category for slot machines, blackjack, roulette, and most other forms of traditional casino games. 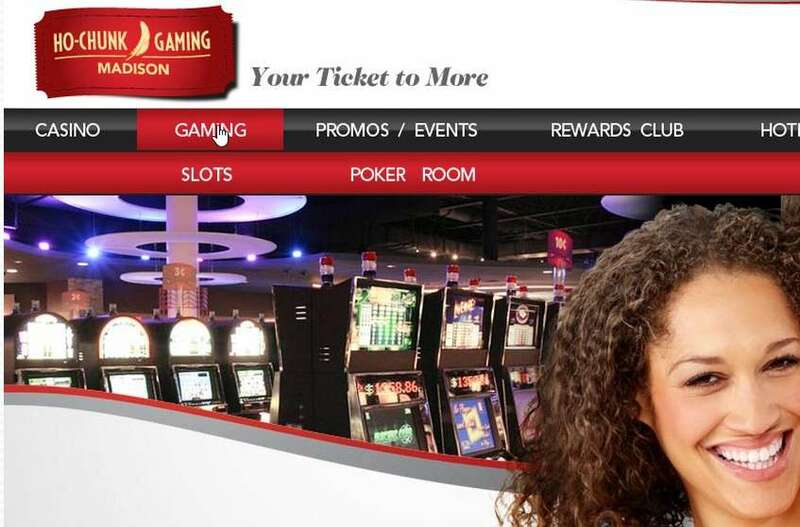 In Dane County, where Wisconsin’s capital of Madison is located, only Class II gaming is allowed unless specifically authorized by referendum; the Ho-Chunk Nation has failed in all previous attempts to get Class II gaming approved by the county’s voters. How, exactly, does that work? It has to do with “creative” programming of the facility’s 1,100 slot machines themselves. The machines are thinly disguised as interactive bingo machines, despite being exactly the same brands of slots machines, from the same major slots manufacturers, that you’d find at any other brick-and-mortar casino in the country. At Ho-Chunk Madison, a section of each machine’s electronic display shows an electronic bingo card, which is filled up with daubed spots when the wheels are spun. The electronic bingo card will always show a “bingo” of some form just prior to the slot machine’s wheels stopping on a winning combination, though despite the disclaimers, the payouts are based on the traditional returns (including bonus rounds) of the slot machines, rather than a bingo-style payout. A few of the machines even allow the player to voluntarily hide the bingo card. The ironic part of the Ho-Chunk’s dispute with the state is that the eight electronic PokerPro tables, underused in general and in a separate room in the casino’s interior, are arguably much closer to true Class II gaming that the 1,100 faux-bingo slot machines that occupy much of the spacious facility’s interior — which was indeed originally designed as a bingo hall. Adding yet another flavor of weird to this tale’s overall irony is that the Ho-Chunk legal argument regarding the PokerPro electronic poker tables is that they are a form of video poker, which as all poker players know, is a house-banked game that isn’t really poker at all. So the Ho-Chunks have been arguing for the tables’ inclusion and operation on the premise that video poker is Class II gaming, which is about the weakest legal argument they could make. It’s hard to predict how this dispute will turn out, given the distinct factors involved. The Ho-Chunk Madison facility is one of six interrelated Ho-Chunk facilities scattered across southern and central Wisconsin. The largest of the six is the Wisconsin Dells facility, though are six collectively are dwarfed by the giant Potawatomi facility in downtown Milwaukee, one of the Midwest’s largest.